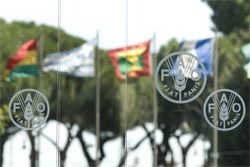 Internal audit serves as an ongoing tool for improving FAO's operations. Auditors follow a scheduled biennial audit plan, determined according to accepted methods of risk assessment, combined with cumulative institutional knowledge and analysis of policy directions from the Governing Bodies, and they also respond to audit needs identified during the course of scheduled audits. In addition, auditors respond to emerging needs such as requests from senior management for reviews of specific activities. Investigations are conducted pursuant to the receipt of specific complaints of wrongdoing, or the identification of indicators of potential wrongdoing during the course of an audit or other activity. The investigations unit is responsible for reviewing allegations of misconduct, fraud and other improper activities. The investigative findings are then submitted to the appropriate unit for decision. The investigations unit also recommends actions to prevent future violations of FAO policies prohibiting fraud and misconduct with respect to staff members or third parties. Inspections are systematic and independent assessments targeting specific aspects of FAO projects, programmes and/or administrative activities, aimed at assisting management in making more effective and efficient use of physical, financial and human resources. While not aimed at providing assurance over organization-wide systems and processes, which are the subject of internal audits, they may provide supplemental assurance concerning one or more of the Organization's critical areas of performance within OIG's mandate: efficiency and economy, compliance, reporting and protection of resources. The results of inspections may result in follow-on internal audits or investigations. Advisory and Consulting Services provide operating units with independent analysis, review, and recommendations for new and continuing processes that management request. The nature and scope of consulting services are agreed with the concerned managers. While the scope of consulting engagements is often narrower than audits, the same standards of independence, objectivity, and due professional care are applied. General Information The Office shares its Annual Report to the Director General with the FAO Finance Committee, and this is also made public on this website. In addition to the Annual Activity Report, the Office issues quarterly activity reports to the Director-General and Audit Committee. The Office also monitors management’s efforts to implement the audit recommendations by conducting a six monthly follow-up exercise and the results are reported to the Director General and Audit Committee. Ongoing internal audits and investigations provide the opportunity for the Inspector General to recommend means of improving the efficiency and economy of operations and the effective use of the Organization's resources. Internal audits and investigations conducted worldwide have covered aspects of financial management, budgeting, procurement and the establishment or enhancement of policies and guidelines in human resources, IT and security areas in order to improve accountability and strengthen and enforce internal controls, as well as a number of other areas. Implementation of recommendations is followed up every six months and reported to the Director General and Audit Committee. All work undertaken by the Office is complementary to that of the External Auditor and the Evaluation Service (OED). In addition, the work is conducted in collaboration with the External Auditor, the Legal Office and OED, as appropriate.